For the health conscious, Porklandia does not always abide. Anything labeled “health food” usually exists outside the lexicon of the snout-to-tail restaurant scene, leaving juicers and vegetable-swillers to their own devices. 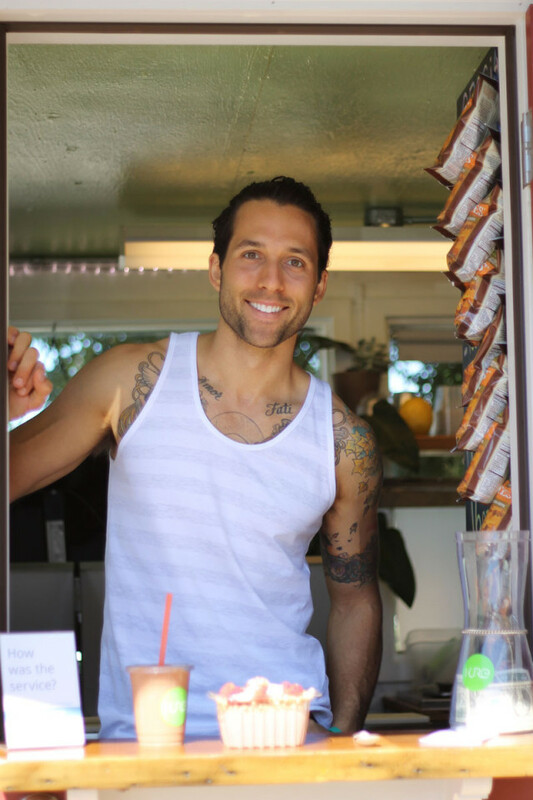 For Nate Higgins, owner of Kure Juice Bar on the corner of SE 44th and Hawthorne Blvd, enough was enough. Two months ago, Higgins commandeered a dilapidated tin shed, grabbed some heavy-duty blending equipment, and shook hands with every produce farmer he could find. “Around 90 percent of our product is from Oregon, especially the green stuff,” explains Higgins. This is one of Kure’s distinguishing characteristics; you can rest assured, your strawberry blend is not from Mexico. These are smoothies with substance. The “Greenheart,” which looked as expected—like baby food—was a smooth, satisfying amalgam of pineapple, kale, and Klamath Lake algae (!) tied together with some deep apple cider undertones. The standout smoothie though, aptly titled “Winning! (Duh),” is part superfood (Acai berries, Goji berries), part Piña Colada (pineapple, mango, vanilla fro-yo) and 100 percent summertime. But Kure isn’t limited to sippy-straw beverages. 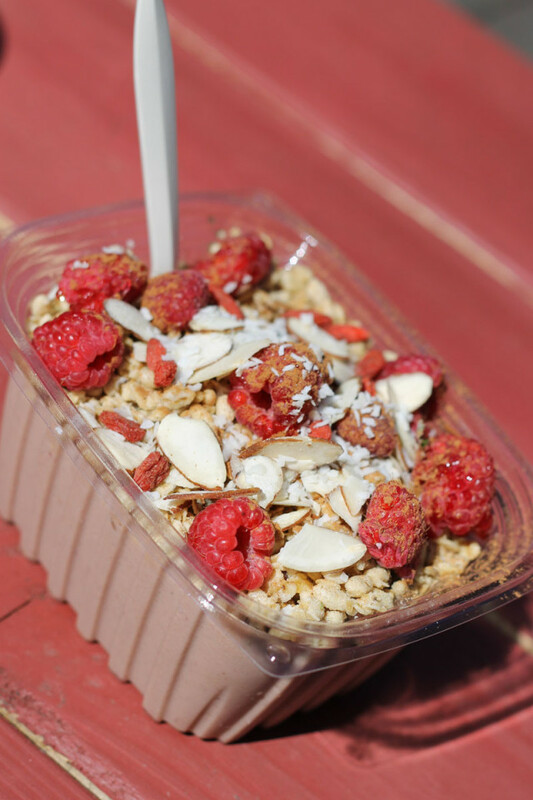 The hubristic “Bowl of the Gods” added some much-needed texture to breakfast, with fresh berries, crunchy almonds, and crackling granola on a creamy base of peanut butter and almond milk—pretty good. “We wanted to create something you could feel good about having every day,” says Higgins. Every day? Maybe not. But after a sticky summer climb up Mt. Tabor, a lounge on Kure’s wooden patio and a fresh smoothie in hand will have you “winning” in no time.